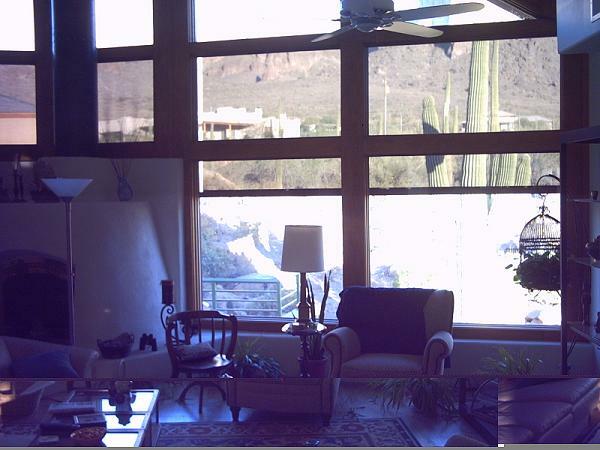 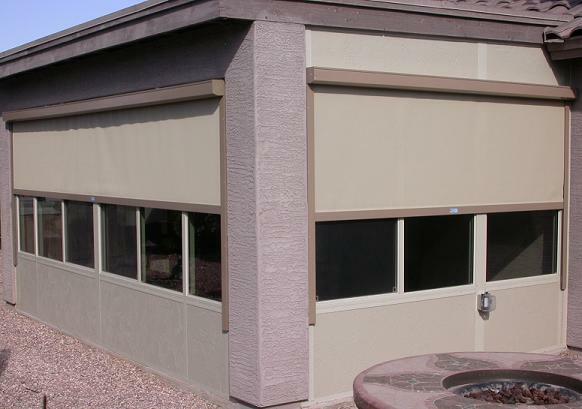 Retractable Window & Door Roller Shades are a great solution for those windows that require some additional shading during part of the day, while maintaining your perfect views when desired. 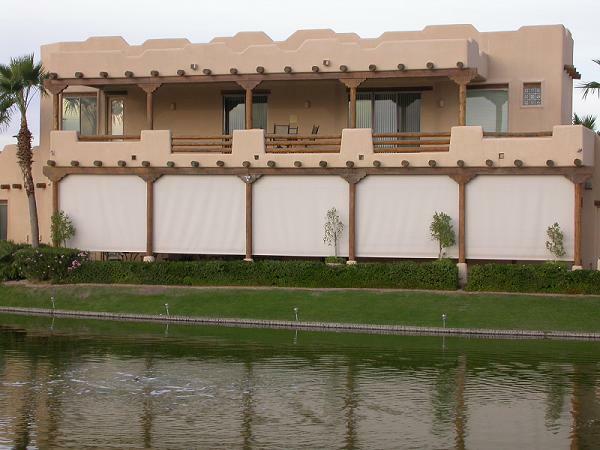 Our Roller Shades mount on the exterior of the window and will be easily deployed only when needed. 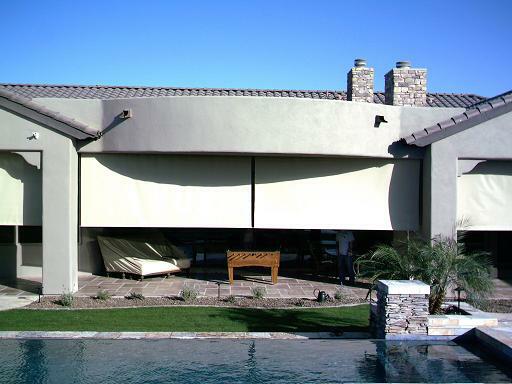 Using the best sunscreen product on the market today, Textilene will block 90% ofthe harmful sun's rays and reduce UV damage in the interior of your home. 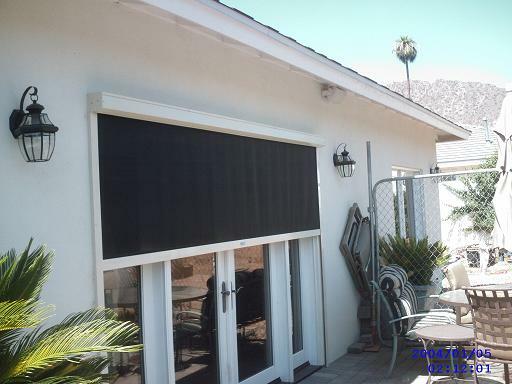 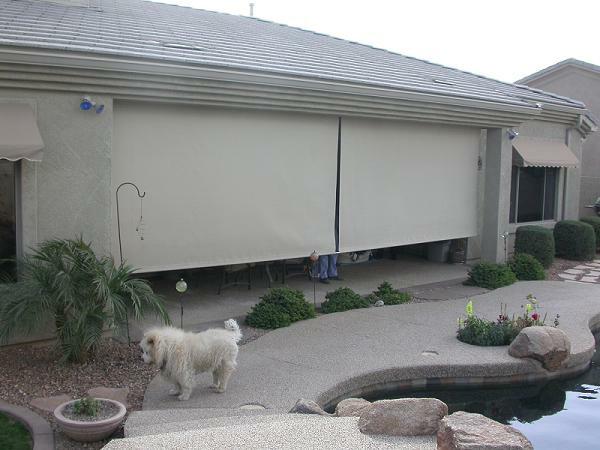 Roller Shades are made with a powder coated finish on all exterior boxes and rails...will not rust. 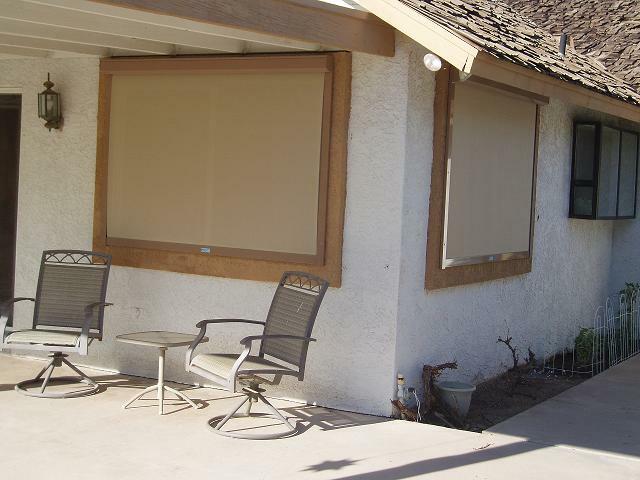 Roller Shades allow you to enjoy your views with virtually no distortion and at the same time save energy and lower the temperature inside your homeup to 15 degrees. 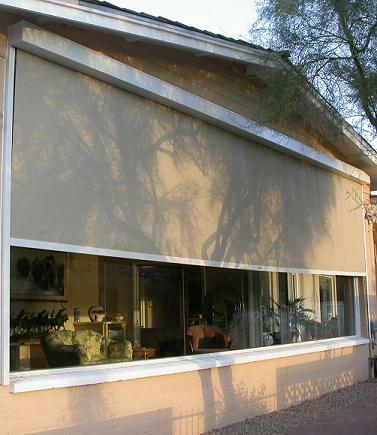 Roller Shades are available with optional wall and remote control motorsas well as wind and sun sensors for automatic operation. 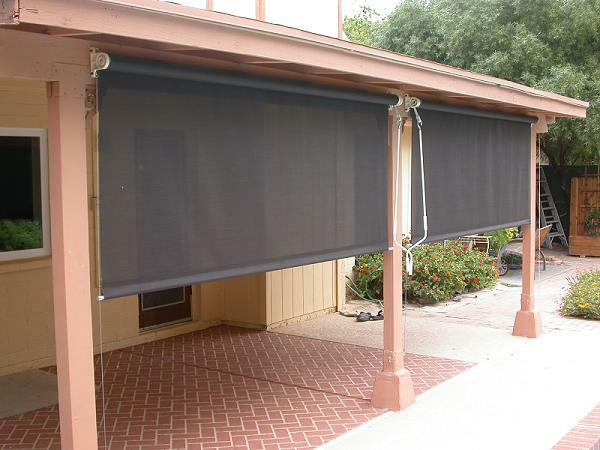 Patio DropRoll Shades are the perfect solution to lowering your patio temperature up to 20 degrees and extending your patio season! 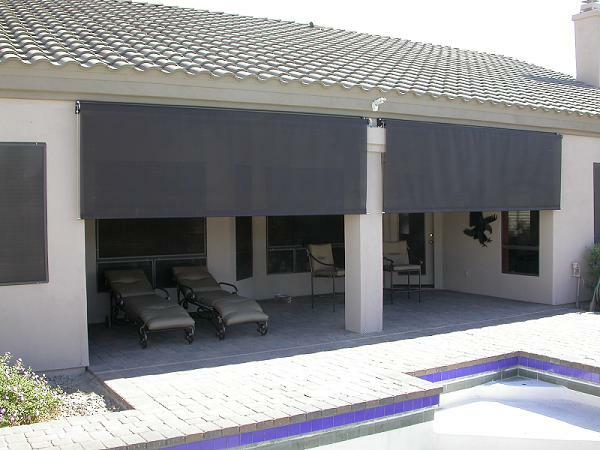 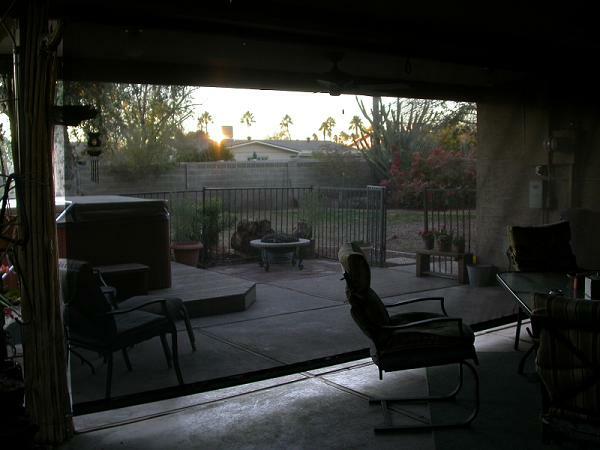 Patio DropRoll Shades are offered with a variety of color options and automation features, including optional wall and remote control motors as well as sun and wind sensors for automatic operation. 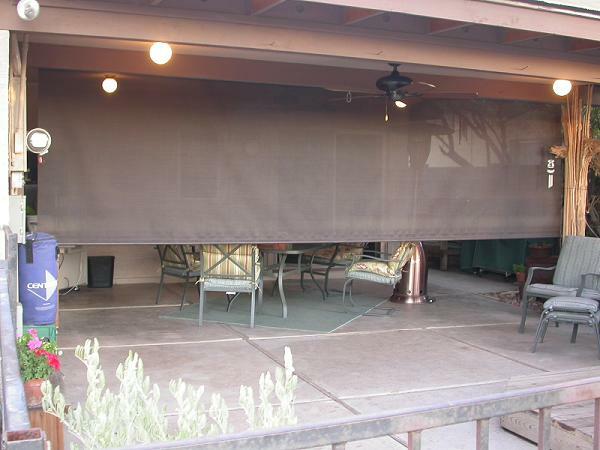 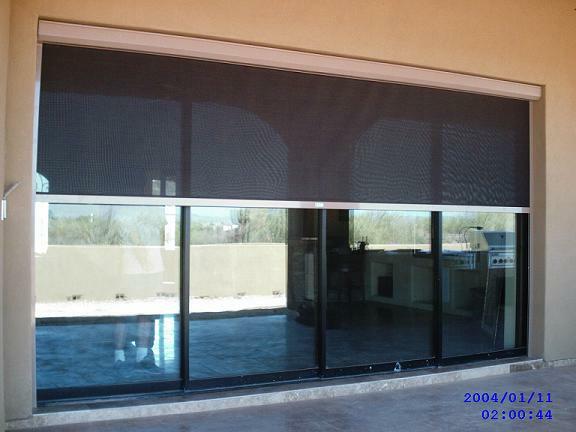 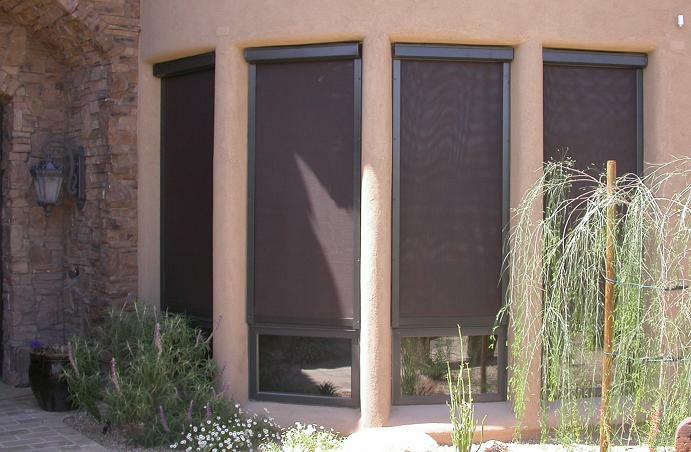 DropRoll shades cool and shade your patio from the sun to make its use more enjoyable. 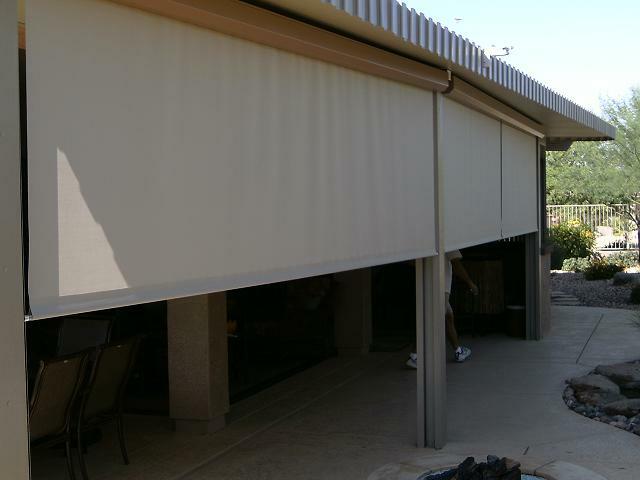 DropRoll shades can be installed over large patio openings up to 40' wide with no center guide wires or interfering items in the opening. 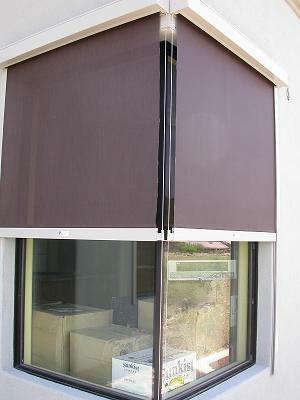 Engineered swivel guides on the bottom bar allow operation in breezy conditions. 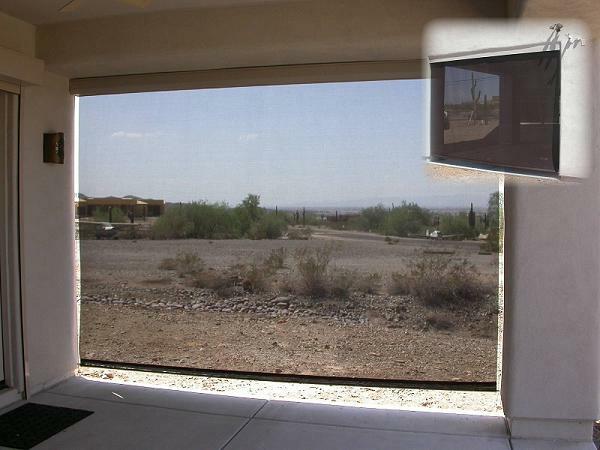 Units can be stopped at any height.